How Do IVF Centers Measure Up? Multiple pregnancies are a hot topic in the news these days, and many concerned citizens and doctors have weighed in their opinions. A lot of attention has focused lately on appropriate guidelines for embryo transfer as part of in vitro fertilization (IVF) procedures, and how patients can find useful information about how their IVF center measures up. This article gives you a step-by-step guide for learning how to read official IVF statistics, mandated by federal law to be submitted by every IVF center in the United States. 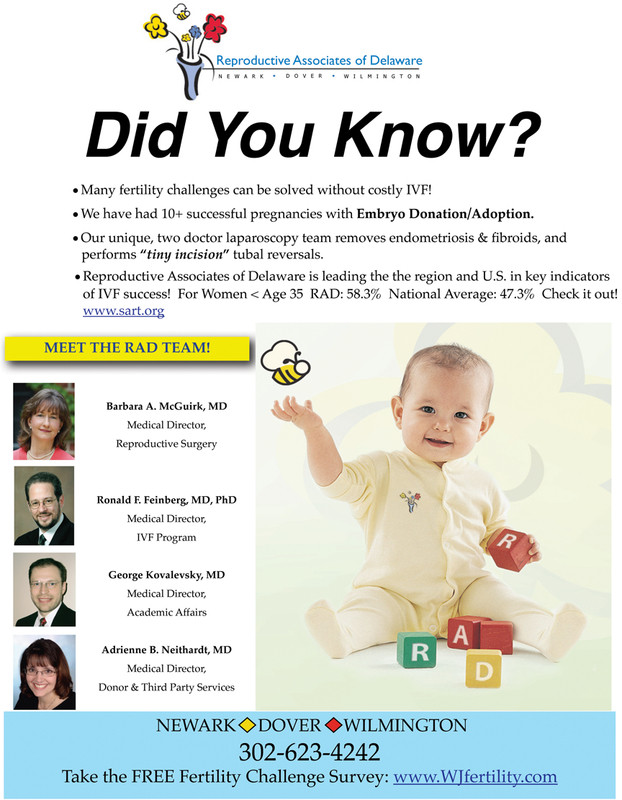 The most recent results from across the U.S. for 2007 are tabulated in detail on the website of the Society for Assisted Reproductive Technology (SART), or www.sart.org. When going to SART’s home page, one can see that it is easy to navigate directly to IVF Success Rate Reports by clicking on the yellow bar, which brings up a map of the entire country. On the SART map of the U.S., you can then search all SART member clinics within a distance of a certain zip code, or within a certain State. For example, in Delaware, there is one SART member clinic — Reproductive Associates of Delaware. In neighboring Pennsylvania, as another example, there are 17 different centers. It is then possible to click through to any specific SART clinic, and a myriad of numbers appears for each clinic. At the top of the U.S. map is a bar that reads SART National Summary, which summarizes results for 392 member clinics that performed 132,745 treatment cycles in 2007. Although SART discourages comparisons from clinic-to-clinic, it can be useful to compare a particular clinic with the national averages. For example, for women under age 35, there were 38,372 IVF cycles performed in the U.S., and 46.1% of embryo transfers resulted in live births. Only 4.5% involved single embryo transfers, and the average number of embryos transferred was 2.2. This resulted in twin births almost one third of the time! In comparing national results to those achieved at Reproductive Associates of Delaware, 55.1% of embryo transfers resulted in a live birth for our patients under age 35. However, a whopping 57.3% of those transfers were performed with a single embryo. The average number of embryos transferred was 1.4, far below national average. In this patient group, only 18% of births were twins, and there were no triplets or greater. Reproductive Associates of Delaware achieved an impressive embryo implantation rate of 51.2%, compared to the national average of 32.6%. Reproductive Associates of Delaware has a multi-year track record when it comes to pregnancy outcomes, including IVF and its well-regarded minimally invasive surgery approach. Individualized care for each patient translates into high success, well above national averages. Our conclusion, when comparing IVF results to national averages, is that ‘more is not better’ when it comes to number of embryos transferred, either with fresh or frozen embryos. And in view of the latest news regarding high order multiple pregnancies and clinics with sub par success rates, prospective IVF patients should use SART.org as their guide for detailed information about IVF centers, regional practice patterns, and management of their precious embryos. Dr. Barbara A. McGuirk, Medical Director, Reproductive Surgery, Board Certiﬁed: Reproductive Endocrinology and Obstetrics Gynecology. Dr. Ronald Feinberg, Medical Director, IVF Program, Board Certiﬁed: Reproductive Endocrinology and Obstetrics and Gynecology. Dr. George Kovalevsky, Medical Director, Academic Affairs, Board Certiﬁed: Obstetrics & Gynecology, Board Eligible: Reproductive Endocrinology. Dr. Adrienne B. Neithardt, Donor and Third Party Services, Board Certiﬁed: Reproductive Endocrinology and Obstetrics and Gynecology. Linda Morrison, M.T. Stacey Carney M.T., Heather Ray B.S., Cai Wang MD, and Caitlin Boylan B.S. who are led by our Lab Director, Marc Portmann, M.T., MHA. Our facility is also home to four of Delaware’s finest practitioners: Nancy Lorber, CRNP, Melissa Aiken PA-C, Rhonda Wright PA-C, and Susan Carr, CRNP. For your convenience we have 3 locations across Delaware to serve you: In Newark on the campus of Christiana Care, Dover, at Eden Hill Medical Center and at Silverside Medical Plaza in North Wilmington. Please call 302-623-4242 to make an appointment. or visit our website www.reproductiveassociates.org to learn more about our practice.